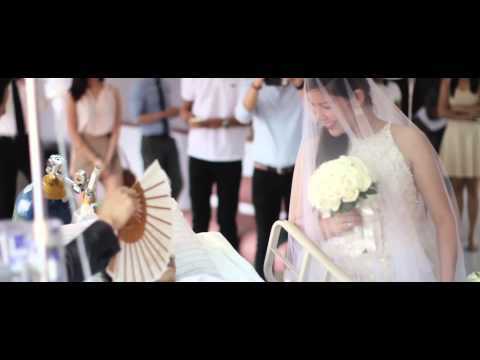 Showing sad videos for tag "cancer"
This heart-wrenching viral video captures a dying man's last wish - his wedding. Early this year, Rowden and Leizl decided to get married on July 8, 2014, Rowden's 30th birthday. Together with their adorable 2-year-old daughter, they already had a perfect family. Then a twist of fate, Rowden got diagnosed with stage IV liver cancer in late May. His last request was to marry his one true love. After 12hours of preparations, his dream was fulfilled. Unable to take him outside the hospital, we brought the church to him. It was like a heartbreaking fairytale. Rowden Go, at the age of 29-years-old, passed away on June 11, 2014. Less than 10hours after he said his vows. He is survived by his wife Leizel May, daughter Zakiah Rowzel, mother Lorelei, and brothers Hasset & Hisham. In the end, we must except those who will never except people who are just slightly different. Love yourself even if they don't love you back.